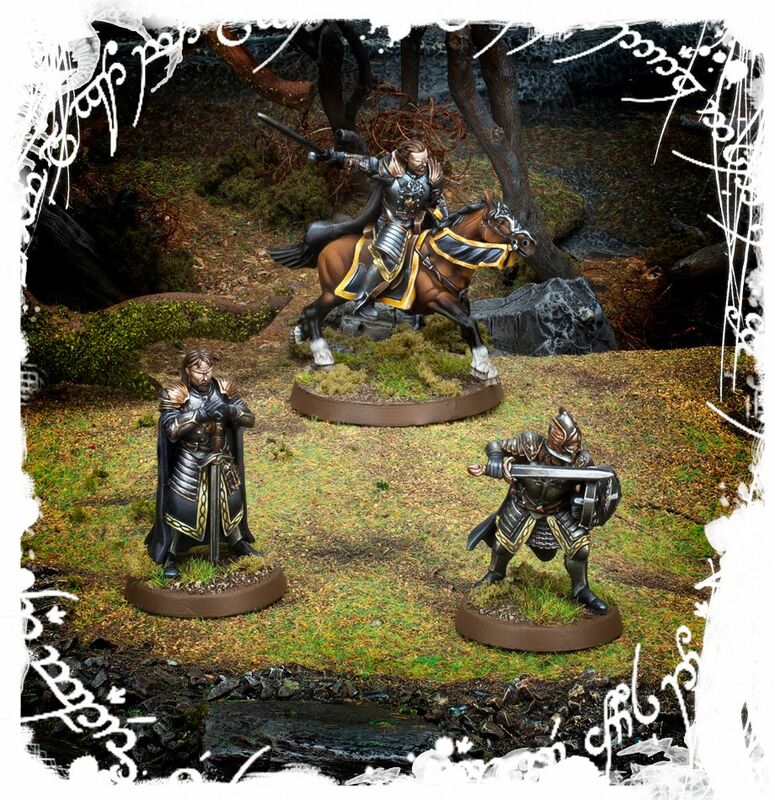 Add two new heroes to your battles in Middle Earth with the the arrival of Ingold, Warden of the Rammas Echor and Húrin the Tall, Warden of the Keys. 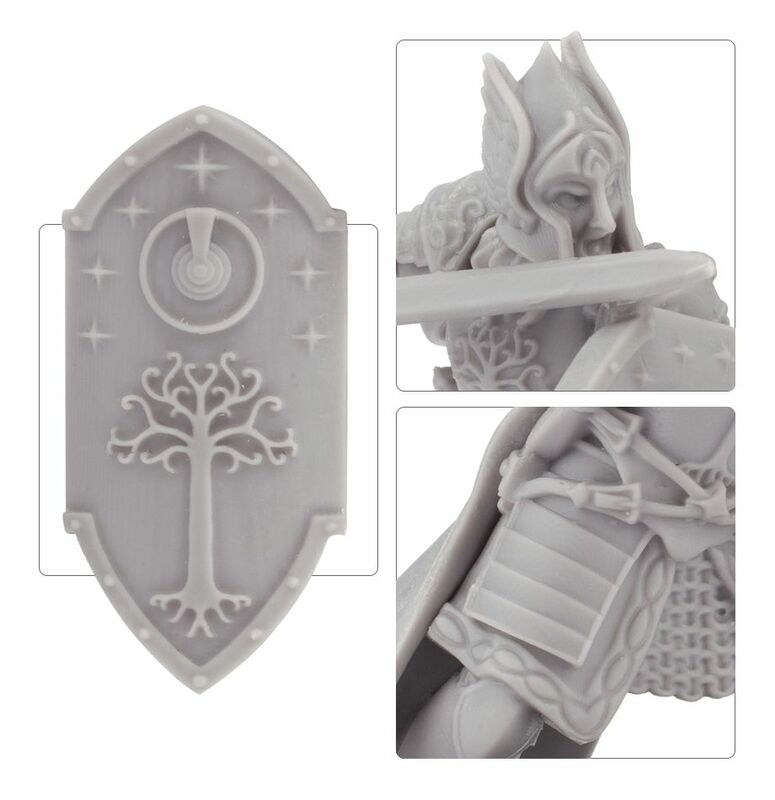 Add two new heroes to your armies of Minas Tirith with this set of resin miniatures representing two key figures from the battles against the forces of Mordor. 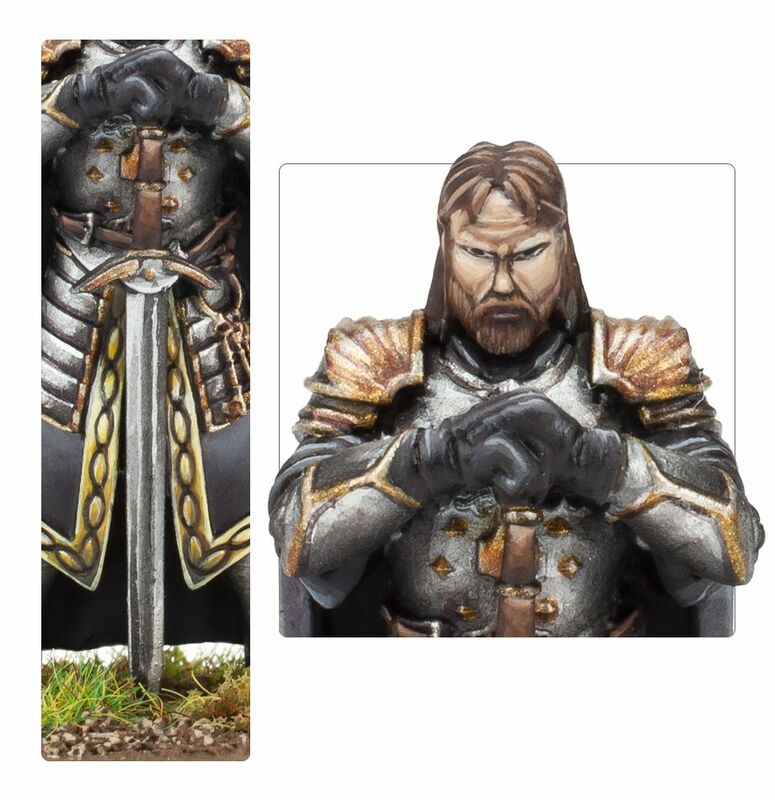 A valiant captain of Minas Tirith, Ingold was placed in charge of guarding the northern road that passed through the Rammas Echor – the encircling wall that protected the White City. It was Ingold who provided Gandalf and Pippin with permission to pass into the realm of Gondor, for at that time Denethor had ordered that no strangers cross the borders of the Steward’s lands. Yet as the battle of the Pelennor approached, Ingold and his men were driven from their position by an army from the east – retreating to Minas Tirith to strike out at their enemies when they assailed the walls of the White City. An important officer within the armies of Minas Tirith, Húrin was the Warden of the Keys to the city during the War of the Ring. Also known as Húrin the Tall, he boasted an impressive stature and possessed strength enough to match. Fighting valiantly at the battle of the Pelennor, Húrin along with Imrahil came to the aid of Éomer following the new king’s fit of grief-fuelled rage. 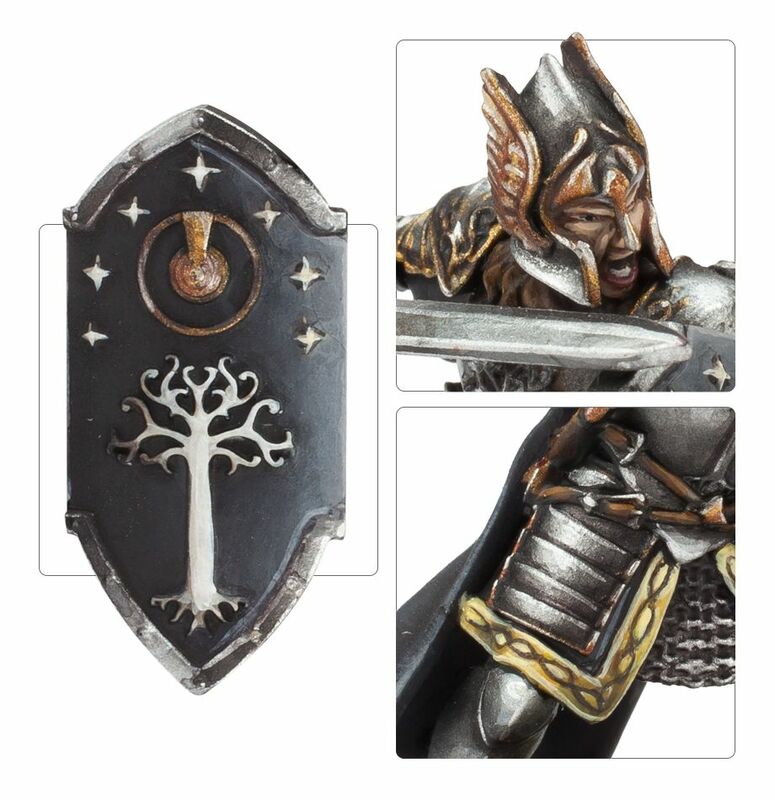 Following the defeat of Sauron and with Denethor dead, Faramir incapacitated in the houses of healing, and Aragorn not yet crowned, the rule of Minas Tirith briefly fell to Húrin as the Warden of the Keys. 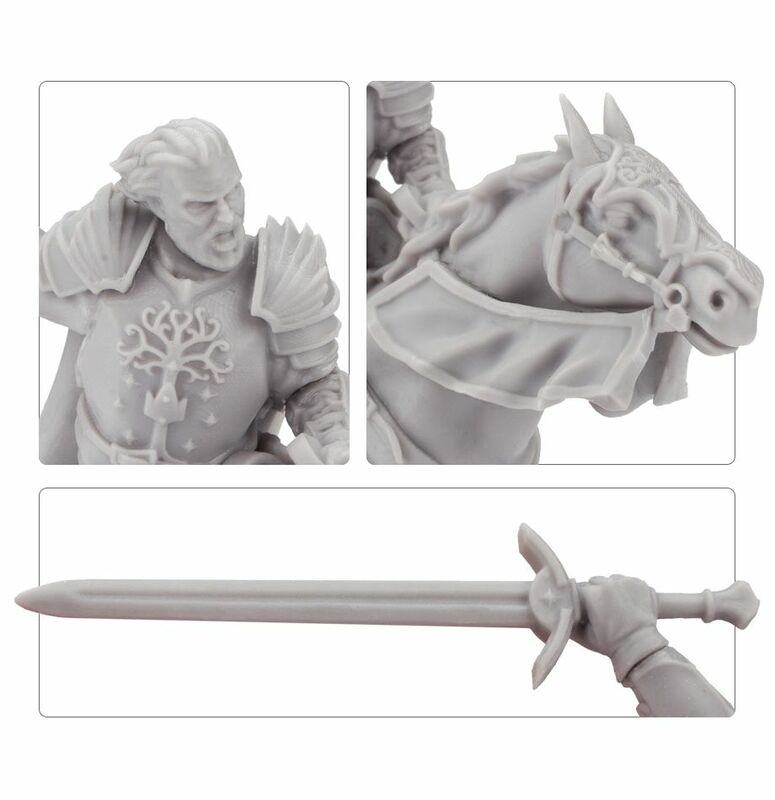 This multi-part resin kit contains the components necessary to assemble Ingold, Warden of the Rammas Echor, and Húrin the Tall, Warden of the Keys. 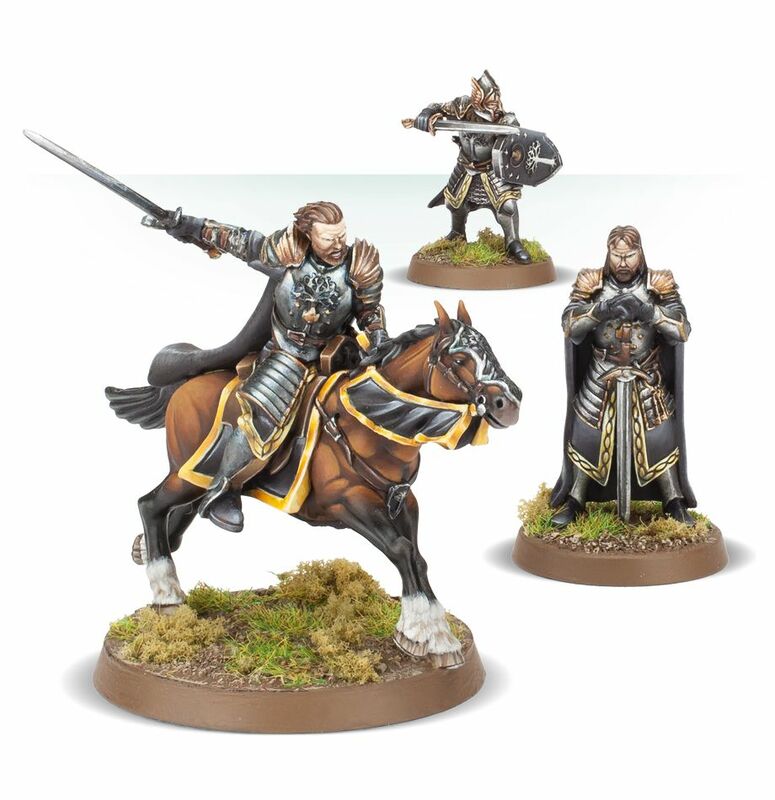 There are two versions of Húrin – one on foot, and one mounted on a horse. 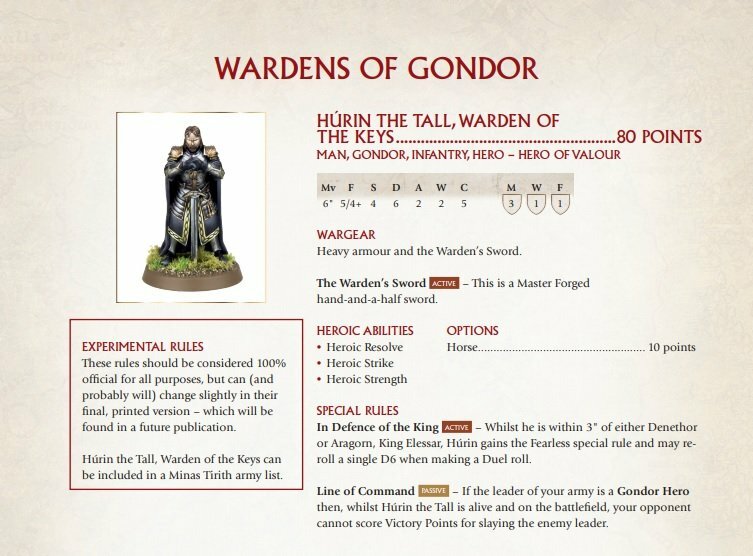 These Hero miniatures can be added to your Minas Tirith armies. They come in 21 components and are supplied with two 25mm round bases and one 40mm round base.